Posted September 5, 2011 in Dave Windett, Sersi. 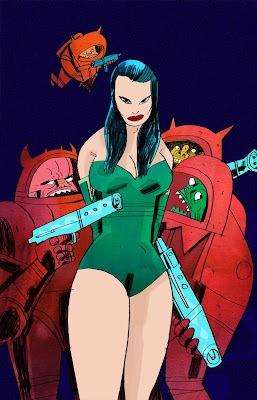 Sersi the Eternal, courtesy of British illustrator Dave Windett. Dave is perhaps best known for his work on a variety of animated characters including Inspector Gadget, Ace Ventura, Bugs Bunny, Scooby Doo and Sesame Street. He has also produced educational books, business manuals and comics for the Scandinavian market as well as providing illustrations for everything from magazines and websites to mobile phones, games, and children’s shoes. You can find more of Dave’s work at his website and blog.